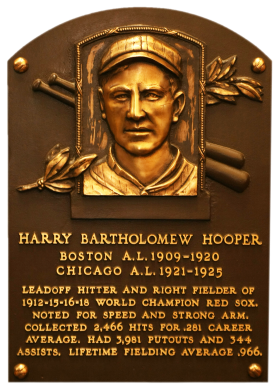 A right field star, Hooper's arm was legendary (he averaged 20 assists a year) as he teamed with Duffy Lewis and Tris Speaker to give the BoSox the best outfield of the era. 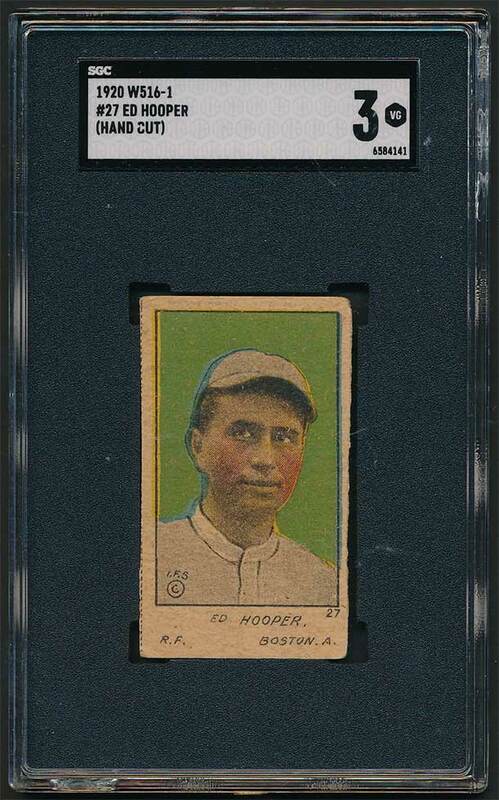 A lifetime .281 hitter, Hooper scored 1,429 runs. 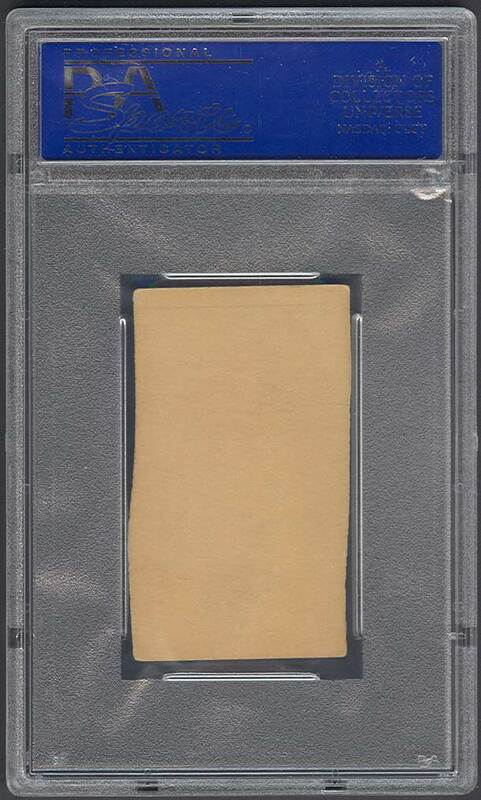 Comments: In May, 2003 I purchased a SGC 70 M116 - love the card. 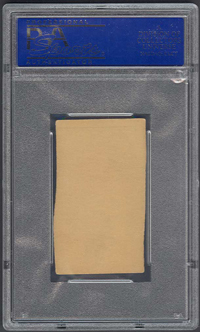 In April, 2004 I upgraded to a PSA 7 with an eBay win from seller Frank Prisco (see Anson for details about a trade with Frank). 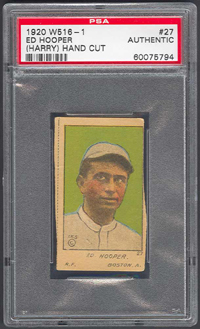 In May, 2007 in order to diversify the collection I picked up a 1920 W516-1 PSA Authentic card via ebay and then the SGC 80 in January, 2010. But, to be honest with you - I don't like these two strip cards and really prefer the M116 which I still own. I happen to have another M116 - Hugh Duffy; so I have a dilemma in my mind - diversify or keep two of the same type? Here's the Hooper M116! 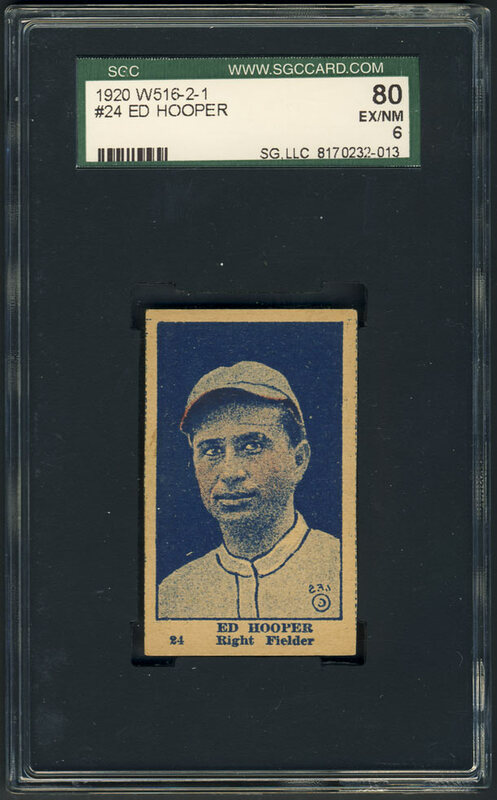 Description: This "strip card" set consists of 30 cards featuring colored drawings - either portraits or full-length action poses. 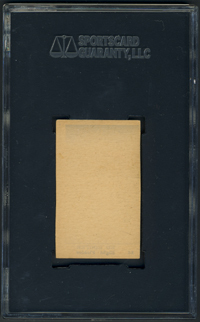 The blank-backed cards measure 1-1/2" X 2-1/2". The player's name, position and team appear beneath the picture in hand-printed style. 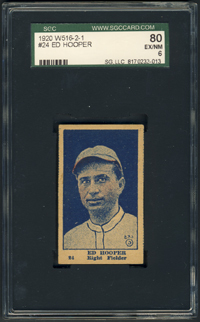 To the right of the name is the card number. The set can be identified by an "IFS" copyright symbol, representing International Feature Service.